LANCASTER – More than 200 people came together at the Veterans Court of Honor in the Lancaster Cemetery Monday morning (11/11/13) for a Veterans Day celebration titled “Honoring All Who Served.” The hour-long ceremony was held to honor and thank all who served in the United States Armed Forces. 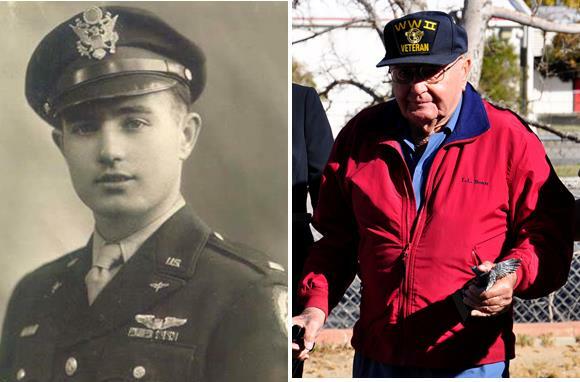 A highlight of the ceremony was a tribute to five Hometown Heroes – Kurt F. Ullman, Army Air Corps, World War II; Ray Santana, U.S Marine Corps, Vietnam; Rick Nolte, U.S. Navy, attached to the U.S. Marine Corps, Vietnam; Luis Gaxiola, U.S. Army, Gulf War/ Bosnia/ Iraq; and Lani Glasscock, U.S. History Teacher, Hillview Middle School. Kurt F. Ullman, Army Air Corps, World War II. Ullman, along with the 440th Troop Carrier Group, received the Distinguished Unit Badge for his efforts on July 6, and 7, 1944, along with the Purple Heart Medal. He also received the Air Medal with 2 Oak Leaf Clusters and the European-African-Middle Eastern Service Medal with 7 bronze service stars. Read Kurt Ullman’s story here. 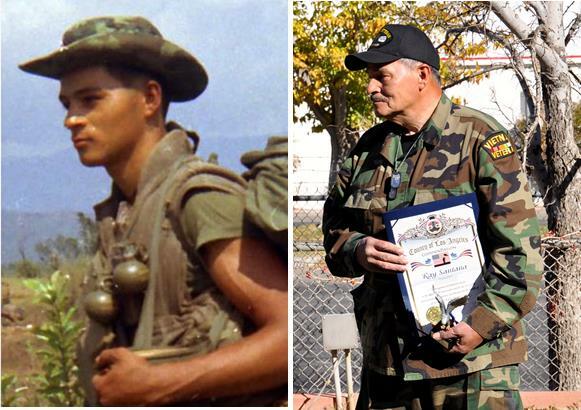 Ray Santana, U.S Marine Corps, Vietnam. In April 1969, Santana was shot by a sniper and received another combat injury before he was medevaced from the jungles of Vietnam. His medical records were lost, and for several years, there was nothing on record to prove that Santana was a combat Marine in Vietnam. Finally, in 2004, copies of his medical records were found and he was hospitalized and diagnosed with Post Traumatic-Stress Disorder (PTSD). Read Ray Santana’s story here. Rick Nolte, U.S. Navy, attached to the U.S. Marine Corps, Vietnam. 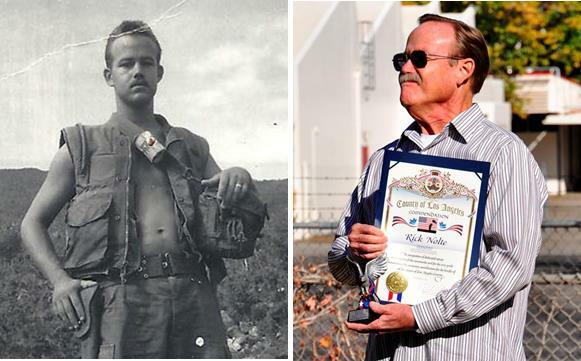 U.S. Navy veteran Rick Nolte spent his 21st birthday going through a fierce firefight on the front lines in the outskirts of Da Nang in Vietnam. Rick was the head corpsman attached to the 3rd Battalion, 26th Marine Regiment and the 1st Medical Battalion in Vietnam. After his military service, Nolte spent 34 years with the L.A. Co. Sheriff’s Department in the Antelope Valley. Read Rick Nolte’s story here. Luis Gaxiola, U.S. Army, Gulf War/ Bosnia/ Iraq. 2013 marks 25 years Gaxiola has served in the military. He has participated in several peace keeping missions in Thailand and was deployed to Bosnia in 1997. He was deployed twice to Iraq, the last time being in 2009. When not serving as solider, Gaxiola is a Deputy Sheriff stationed with the Santa Clarita Sheriff’s Department. 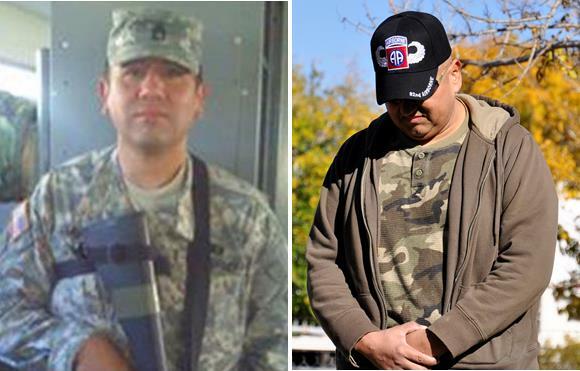 Read Luis Gaxiola’s story here. 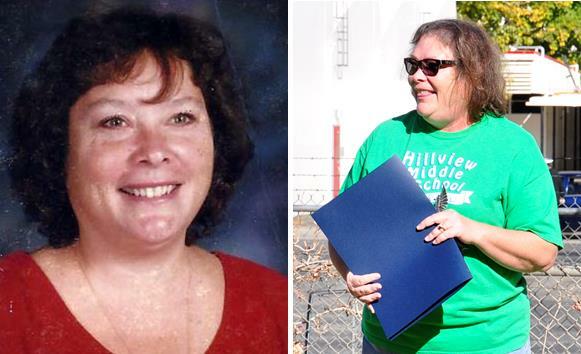 Lani Glasscock, U.S. History Teacher, Hillview Middle School. For the past two decades, Glasscock has taught thousands of local children about military sacrifice. “For years and years, and thousands of students at Hillview Middle School, [Glasscock] made sure every year that those children knew the sacrifices that the soldiers of this great country laid down for them so that they can have classrooms to go in there and get a good education,” said Air Force veteran Bob Alvis in describing why Glasscock was a hometown hero. “As soldiers… when we come home from the battle fields, it’s always nice to know that somebody has our back,” Alvis continued. Other key moments of the Veterans Day service at the Lancaster Cemetery included the Presentation of the Colors and Flag Salute by Joe Walker Middle School Civil Air Patrol; the singing of the ‘Star Spangled Banner’ by Remnant Acapella Group; ‘Taps’ played on trumpet by Col. Art McGettrick; a short play about the World War II Christmas Truce performed by Joe Walker Middle School Civil Air Patrol; and the singing and signing of ‘God Bless America’ by Brownie and Daisy Troop 1002. For many more pictures from this event, visit our Facebook page here. 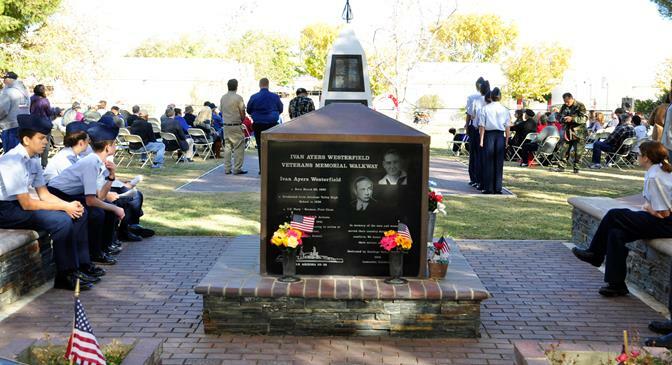 4 comments for "‘Honoring All Who Served’"
Great job of covering our Veterans Day event at Lancaster Cemetery. We appreciate you taking the time to come out and report on such a great group of Hometown Hero honorees. Great photographs to go with the story! This is the most impressive ceremony that I have attended at the Lancaster Cemetery since I move up here. Congratulations to the Cemetery Board and staff, those who were honored, and the citizens who attended! A great community we have in the Antelope Valley. Thank you! Thank you for your coverage of this great event. God truly smiled on the day with gorgeous weather, and it was amazing to hear about the tremendous public service these individuals have given to support their country through their military service and in some cases, their careers. Kudos to each and every one of them!